When I was a young child, for some unknown reason, I used to collect buttons of all shapes and sizes. I couldn’t resist using them in this daily challenge. 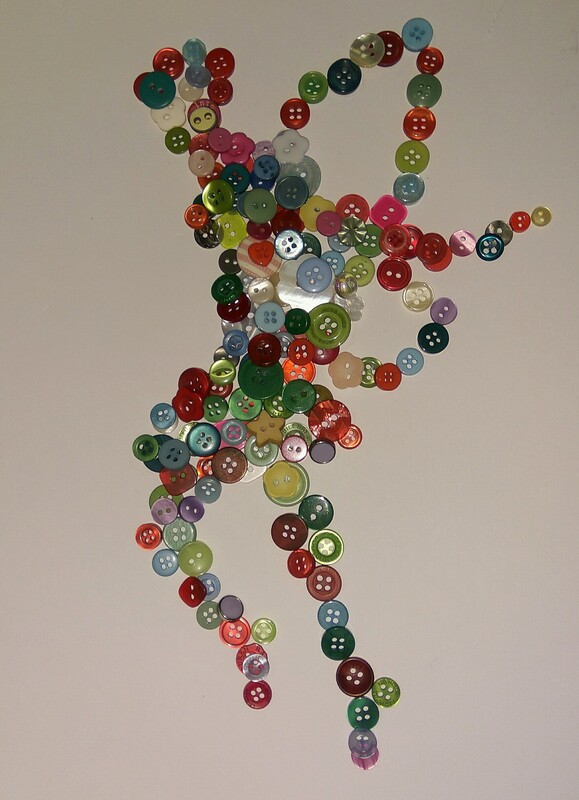 I arranged and re-arranged the buttons numerous times in an effort to make this clearly look like a fairy in flight. This took a lot longer than I thought it would as I wanted to get the hands and feet looking dainty and fairy-like.